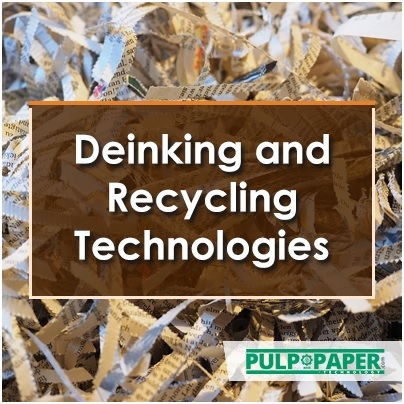 Deinking is of two types enzymes supported and chemical supported, Enzymatic deinking approach maintains a good quality pulp after deinked from laser-printed alkaline office paper wastes. The chemicals used for deinking are standard and quite complex. Each chemical had a specific function, adding any aggregates unless it is necessary may lead to blemish. It is important to remember that some chemicals have more than one action, not all of which may be pleasing. Sodium hydroxide helps in break down ink by saponification or hydrolysis and helps in ink dispersion. 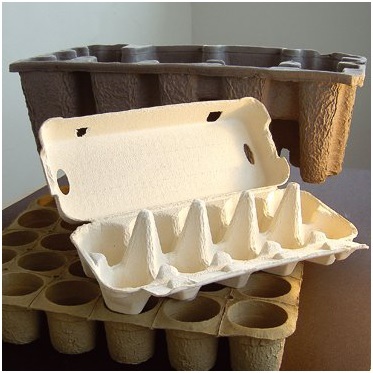 Most of the present carton boxes, mould pulp for the fragile products, wall paper etc are produced by the means of secondary pulp or deinked/recycled pulp. Moulded pulp products can be made waterproof with a spray or dip coating of wax. Moulding equipment is used to produce drink trays, cup carriers, wine shippers, egg cartons, egg trays, fruit trays, pans and end caps, etc. The method of waste paper recycling often involves mixing used or old paper with water and chemicals to break it down. It is then cut and heated, which breaks it down further into pieces of cellulose, a type of organic plant material resulting mixture is called pulp, or slurry. It is strained through screens, which remove any glue or plastic which may still be in the mixture then cleaned, de-inked, bleached, and mixed with water. Then it can be made into new recycled paper. A waste paper may be comprised of different paper types made of different paper fibres. Sorting helps in maintaining the pulp quality processed pulp can be of the same or lower quality than it was original. The bales are opened objects which are sorted out on the conveyor belt of the pulper. Many inappropriate materials are readily removed. Twine, strapping, plastic coating etc. are removed from the hydropulper by a "ragger". Metal straps and staples can be screened out or removed by a magnet. Adhesive pulp is also cleaned. Pulpers are either batch uses a tub with a high shear rotor, or continuous, perforated drum. Drum pulpers are very expensive but have the advantage of not breaking up contaminants, thus giving an accurate end product. The pulp is cleaned before it is packed or used it for further process. In flotation deinking, ink is eliminated with the addition of chemicals like surfactants. With the subsequent air introduction into the recovered pulp hydrophobic components(ink) particles are then particularly floated & these elements are then taken off in the resulting foam. 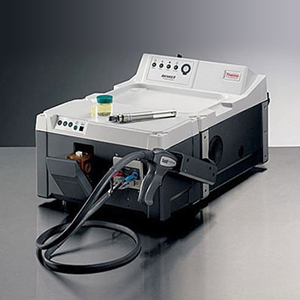 In a flotation deinking, the majority of ink removal happens in the flotation process. The ink particles will already be detached partially from the fibres before it reached the stage of flotation deinking. Flotation utilizes small bubbles which elevate the inks to the surface in a froth which is later skimmed away. The left-over pulp fibres are sent to bleach in order to increase their whiteness levels. Bleaching uses peroxides or hydrosulfites to increase the brightness of the pulp. The removal of colourants in inks and the brightening of the pulp is done by using the bleaching. The chemicals used to bleach pulp had a source of environmental concern, and recently the pulp industry using alternatives to chlorine, such as chlorine dioxide, oxygen, and hydrogen peroxide. Washing is the removal of other unnecessary components in the recovered pulp like mineral fillers and other unwanted solid material. Prime Fibres, established in the year 2008 by a group of highly experienced technocrats in the pulp and paper industry, is a service provider and acts as one stop shop for all raw material requirements of paper industry in the Indian sub continent. We have good contacts with supply sources for Eucalyptus Wood Logs, Radiata Pine Logs, Eucalyptus Wood Chips, Bleached Eucalyptus Kraft Pulp, Finished Paper and Paperboards and Specialty Papers, Recycled Fibre (waste paper) and Process Chemicals. By virtue of enriched experience of promoters, Prime Fibres has become a well-recognised service provider, engaged by many overseas pulp and paper companies as their authorised agent or representative, for developing their market share in the ever-growing Indian Sub Continent. We meet decision makers of top Indian companies, make offers of catalogue of products, justify their purchase decisions and negotiate deals on behalf of Buyers. We assist our Principals in all documentation needs, follow up on shipments and deliveries, attend to any product related issues etc. We simply serve both supplier as well as buyer as “one” source of coordination and communication. Northstar International specializes in exporting and importing recycled fiber. Over the years, the Company has maintained the highest level of professional integrity, and constantly strives to maintain its position as global market leader in offering professional paper recycling solutions and services. We have the flexibility, market insight, experience and financial resources to act quickly and fairly on behalf of suppliers and clients. We have created a unique marketplace in terms of prices, quantities and a wide variety of grades and stock origins, and our extensive worldwide connections, established over the last 40 years, are an added asset for our suppliers and customers. The paper industry encompasses all aspects of our lives, both in commerce and in the privacy of our homes. The rise in living standards and quality of life has two direct results: increased per capita demand for, and consumption of, various paper products, and the related growth of generated waste. Paper sorting and recycling are key solutions to these global tendencies. Reusable waste material is an inevitable and ever increasing resource for manufacturing in the paper industry. Northstar International is a key player in the recycling process; we purchase our suppliers’ raw materials and market it for our clients’ specific manufacturing needs.